I purchased this wine mainly because I was curious how the Australian moscato differed from other muscat wines I’ve tried. The answer would be not much. It’s very sweet, and I definitely consider it a dessert wine. There is a lot of pear and vanilla with lesser notes of cantaloupe, yeast, and cream. Really, it would be great for any number of fruit desserts or to have in place of one. It seems to have more carbonation that most of the other Moscato wines I’ve tried. It is full of apricots, peach and honeysuckle, and has great aroma as well as the perfect semi-sweetness to match. The bitterness doesn’t hit until it is almost completely down the throat. Very pleasing and light to drink. Great finish. 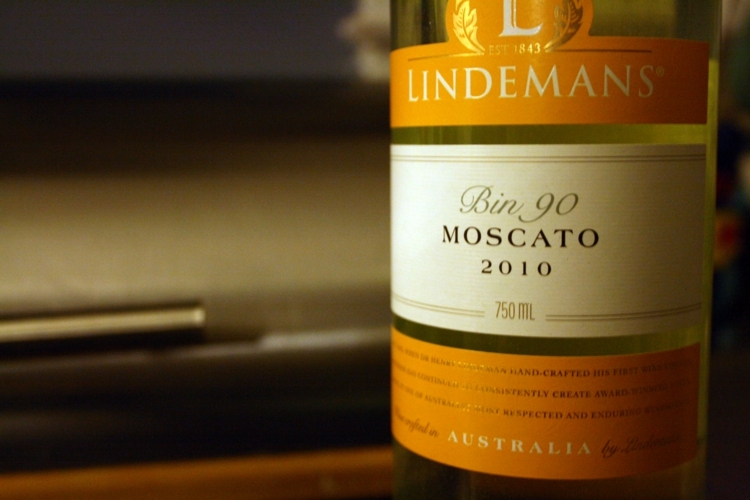 Lindeman’s delivers a surprisingly aromatic, semi-sweet white wine that stays true to its pedigree. Loads of honeysuckle, white peach and apricot notes with a slightly honeyed stone fruit tone throughout its nice finish.